The Opposition United Party for National Development (UPND) candidate in the Sesheke Parliamentary by election, Romeo Kang’ombe has taken an early lead. From the Twelve Polling Stations out of the Forty Three where counting has been done, Mr. Kang’omba has polled Five Thousand Seven Hundred and Thirty Two votes while PF’s Dean Masule has polled One Thousand Eight Hundred And Twenty Five. The other two opposition candidates of the UPPZ and PAC are trailing with unconfirmed Twenty Six and Twelve Votes respectively. According to Electoral Commission of Zambia (ECZ) Public Relations Manager Margaret Chimanse, official election results are expected later on Wednesday owing to the delay which is as a result of some polling stations not being easily accessible. Meanwhile the Ruling Patriotic Front (PF) Party has won all the Seven Local Government By Elections held on Tuesday, February 12th 2019. PF’s Roderick Banda has won the Chindwale ward seat in Katete District after polling 834 beating his only rival UPND’s Jenipher Phiri who polled 274 votes. Returning officer Kaitlyn Nyirenda declared Mr. Banda as the duly elected Chindwale Ward Councilor at about 21:50 Hrs. In Lundazi District , the Patriotic Front has scooped the Mkomba Ward by election after party’s candidate Stephen Banda got 1, 277 votes while the UPND candidate John Mtonga garnered 252 votes. The Patriotic Front has also won the Nkombwa ward elections in Isoka District. PF’s Humphrey Nzunda has polled 734 while Geofrey Ngulube of the UPND managed to collect 426 votes. Meanwhile the PF has taken away Sewe Mungole Ward from the UPND whose candidate resigned to join the Patriotic Front leading to a by election. Returning officer Peter Zulu declared the ruling party’s candidate Jonathan Loje as the winning candidate after polling 487 votes while the UPND candidate Evans Kapatashi received 252 votes. In Chililabombwe, the Patriotic Front(PF’s) candidate Kangwa Nsofwa who got 494 votes has won the Anoya Zulu seat while the UPND candidate Evans Mwambula with 351 votes managed to beat the only independent candidate Joseph Kazenzi who got a paltry 89 votes. The Patriotic Front has also beaten the UPND and NDC in the Chinkutila Local Government by election where their candidate polled 1, 536 while the closest rival of the UPND got 308 with the NDC candidate coming out last with 281 votes. PF’s Gregory Makungu was declared winner by Returning Officer Nelly Muyoka after polling 386 votes while his only contender UPND’s Jacob Njobvu polled 348 votes. The By Elections were necessitated by the resignation and death of some leaders. The people have spoken despite regrettable scenes in Sesheke. Seshekeans you have it your way for MP, no change you felt, we respect that and PF, you got it your way in 7 wards snatching 1 somewhere – you made a difference. Congrats folks, progressive or retrogressive. Let healing follow. Indeed, lets roll. It’s only rigging when PF wins. When they win all is well. Congratulations PF on losing the Sesheke by-election. You deserve the loss for your thugery behavior. Ba Enoch, let them go where? This is just UPND retaining a seat in their stronghold…dynamics haven’t changed a bit. In fact they were the party under pressure after having lost last by election. What’s on the ground is very different from the view you have from your armchair! Congratulations mighty PF for big win, this shows that PF is in good standing with people on the grassroots, victory is certain for PF in 2021. I don’t even waste time looking at the results in Western, North Western and Southern provinces. All Zambians know the tribalism that exists in the Bantu Botatwe. May be one day things will change. What tribalism are you talking about? Aren’t the two candidates from the same province. You ,must be very dumb or are you saying PF is not for the tribes in the 3 provinces you mentioned. Oh please! Cut the crap and move on. All of you. Nothing has changed. 5pin na 1pin. You got the results, heal. PF has won in western province, stop with your confusion. Let us move on to develop Zambia. 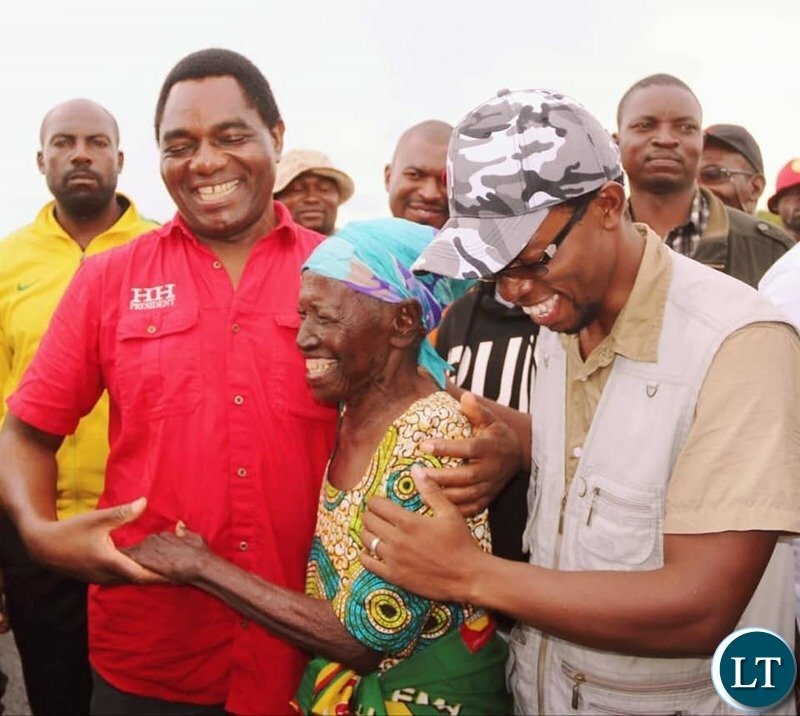 Congratulations to the UPND candidate keeping the seat for the opposition, it was looking dire for the opposition after they kept on losing in their strong holds, Kafue because of lose woman Charla Mwana, and in western province. In NW, Southern and Western provinces, it too certain who the winner will be and bloody political violence has only occured in UPND strong holds. Mapatizya, Mufumbwe and Sesheke. This speaks volumes. The violence in the areas you have mentioned is historical. My grandfather recounted a story of how a Lozi man by the name of Spencer was beheaded because he was reporting for work while other miners were on strike. This sparked fierce fights among tribes i.e. A against B tribes. Congratulations Mighty PF for scooping all the 7 wards across Zambia and congrats to UPND for retaining your Sesheke seat. The results above simply confirms what almost all SEASONED POLITICAL EXPERTS SAY that REGIONAL VOTING FOR POLITICAL PARTIES shall continue in 2021 too.As long as UPND is led by HH and PF by ECL,Zambians should expect HH to lose in 6.5 provinces where he has been losing elections since 2006.PF can be a bit happy because they seem to be doing fine in N/Western province while UPND has continued losing in known PF strongholds.TO PROVE ME RIGHT,YOU WILL SEE HOW EASY PF WILL WIN THE BAHATI SEAT IN MANSA DURING THE UP COMING BY ELECTIONS!!! Like we know who is worried about the results. No change in the voting pattern means one thing. We all know what. But like you have likely observed, let’s watch the outcome of the Mansa poll. How heavyweight is CK? I am excited to learn the outcome of former Kalaba Constituency ????. If someone wins in southern,western. and northwestern its tribalism and not in the remaining provinces.This vice started a long time ago,i wonder y some pipo dont reason at tyms becos we should embrace the one zambia one nation motto. I saw the videos in Mkomba and on zwd how he is making inroads in east. He will never rule Zambia. It is very hard for any political party in upendi stronghold because even police are upendi cadres. All what we see is just a story of animal farm…Let us redefine the campaign agendas and potentially activate our mindsets to iron out all electoral processes for special identification of true independence. IF CK WAS IN PF,2021 WAS GOING TO BE A WALK OVER FOR PF BUT BECAUSE OF USELESS ADVISOR TO ECL,PF WILL WILL SEE IT TOUGH.MARK MY WORDS. WELL DONE PF. Particularly, for the stupendous mop up in majority wards and the ingenious in-roads into UPND, territory by the dastardly ploy of poaching off their candidate to PF side. More of that in future. WELL DONE UPND for holding on to your Sesheke enclave. PF, tried but the daft PF chaps got caught and smacked right by the police! Well ‘My Patch,’ politics has shifted a little bit of gain to PF. Keep it up, but fight smarter. No violence. What copperbelt voters see in the PF I will never understand. Is it inherent dullness or what?